Are you saying that brand recognition is not a priority for Canon anymore? We appear to be entering the era of the super fast, super sharp lenses. I would love to see a RF 400mm f/2.0 @ the same size/weight as current model. Is IBIS effective for the focal length of 135mm (not the "135mm equivalent" for a tiny sensor, but the real 135mm)? Was it ever done for the EF range? Are you saying a mirrorless camera will not be associated with Canon? This, from Sony IBIS, indicates that it is effective for long focal lengths. Of course there will be some implementation differences. Keep up these developments and continue to lead the way. If it's a non-Canon mirrorless camera. If it's a Canon DSLR, it will be assoicated with Canon. I don't see something that small and fast a priority for Canon. The market is shrinking, and there is a flight for the higher priced segment. Look at how Panasonic is positioning their GH5s and their FF entries, and Fuji and Olympus with their high priced bodies. The RF ecosystem won't be as a large as the EF ecosystem for that reason. A lot of consumer grade options will not be duplicated -- it'll be more enthusiast and above. So most people are looking for quality over portability with FF. Most of the people that value portability over all else often choose cell phones, which is why the whole market is shrinking. There is a reason why Canon chose to lead the R ecosystem with expensive glass. And with the 35 f/1.8 IS macro and the 35L lens (EF version II and the eventual RF version), that focal length is pretty much covered. Maybe there will be a pancake or two, but those will be slow (f/2.8) and Canon knows that it'll sell more AF lenses than MF lenses (which can be smaller). The R with the RF 35 f/1.8 IS is not that big. Halving the lens depth does not save that much in the volume of body/lens combo. What does is a EOS M with the 22 f/2. Size is a guiding principle for Canon in how it treats the M ecosystem and why it is not a full system with many lenses at fast apertures. For that with a front element at least 200mm you may need to sell both kidneys and may be your Liver as well. DSLR is sun setting. No point in developing it further. Producing them up to 2028 , at most, makes sense. Lovely, now how about some lightweight L series 1.8 primes. By putting the lens about 3/4" closer to the sensor (film plane), they should be able to achieve better than the current f/2.8 aperture of the 400mm lens. I think f/2.0 is doable. In terms of pricing, it's important but not really important for this conversation. I'm more interested in the technology progression. Trey, I’d like to introduce you to Physics...it appears that you haven’t met. For any lens, the entrance pupil (which is the optical representation of the physical aperture) needs to be filled with light. For telephoto lenses, the entrance pupil is essentially at the front element, meaning you need a front element about the same size as the physical aperture, which is focal length / f-number. A 400mm f/2.0 lens would need a 200mm diameter front element. A shorter flange focal distance isn’t going to change that one bit. I would, if I hadn't already sold my little brain for all my current lenses and cameras. No point in developing it further. No point in developing a new pro sports camera for release before 2020 Olympics? I am happy to defend the 200 f2.8LII. I got one used a couple of months ago, and I love it. Reasonably small and light (just a little bit bigger than the 135L), fast to focus, sharp across the frame at f2.8, and beautiful bookeh! It made me sell the 70-200 f2.8LIII I got on sale on black friday last november without thinking twice. The 200 f2.8LII is plenty sharp, but yes, when pixel peeping I admit that it could be sharper. In my opinion though, I find the lack of biting crisp details to provide a very pleasing and “organic” look. I’m not sure I would want it sharper if I could choose... The only thing I miss in it is IS. For any lens, the entrance pupil (which is the optica representation of the physical aperture) needs to be filled with light. For telephoto lenses, the entrance pupil is essentially at the front element, meaning you need a front element about the same size as the physical aperture, which is focal length / f-number. A 400mm f/2.0 lens would need a 200mm diameter front element. A shorter flange focal distance isn’t going to change that one bit. But I'm talking about RF flange, larger rear aperture. 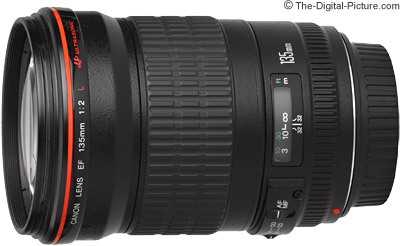 I own the EF 135mm f/2L and the EF 70-200mm f/2.8L IS II. In my experience the 135mm has better bokeh at f/2.8, and of course, the 70-200 is terrible at f/2.